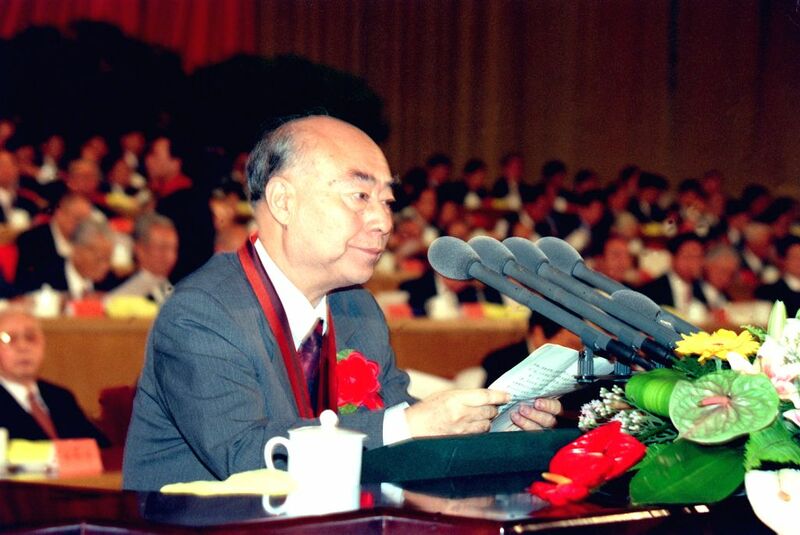 BEIJING, Jan. 9, 2015 - File photo taken on Sept. 18, 1999 shows Chinese nuclear physicist Yu Min making a speech at a convention. China held a convention on Jan. 9, 2015 to present the 2014 state scientific and technological award to elite scientists and researchers. Yu Min won the top science and technology award.